Sunderweg 130, 44147 Dortmund (hereinafter named KRAKEN) and the customer solely the following general terms and conditions apply. Any other terms and conditions of the customer will not become a contractual part even if KRAKEN does not expressly contradict. 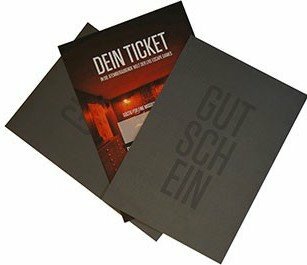 2.1 Tickets and vouchers for EXIT can be purchased through our website www.exit-game.de/dortmund or during our opening hours in our venue. Only adults are entitled to purchase. 3.2 The payment of tickets and vouchers ordered in our webshop can be made by credit card (VISA and Mastercard), immediate payment, PayPal or on-site in cash. We reserve the right to accept and refuse additional payment methods in individual cases. Please note: a payment charge might be made to your credit card without a binding contract concluded with us, as this will only take place upon receipt of our booking confirmation e-mail (see section 2.2). After completion of the order you will automatically be forwarded to the website of Sofortüberweisung.de to make the payment. Your bank account will be debited after the payment is completed by Sofortüberweisung.de. PayPal is an online payment service of PayPal (Europe) S.à r.l. & Cie, S.C.A. The use of PayPal requires that you have a customer account at PayPal, where your bank or credit card data is stored. If you have selected PayPal, you will be redirected to PayPal after the order is completed. There, you log in to your PayPal account with your e-mail address and the password you entered and confirm the payment. You will receive a payment confirmation from PayPal by e-mail. PayPal charges your bank account with the corresponding purchase price and transfers this to our seller account. For further information, please visit www.paypal.de. If the customer is a natural person who concludes a legal transaction for a purpose which can not be attributed predominantly to his commercial or independent professional activity (consumer), the customer is entitled to a right of revocation according to the law. § 312g i.V.m. Section 355 of the German Civil Code (BGB). Please refer to the notice of revocation for conditions and legal consequences. 5.1 EXIT is a team game for people from 10 to 99 years. Children and adolescents who are not accompanied by a legal guardian or a full-time supervisor must submit a declaration of consent to participate in EXIT missions signed by a parent. Under 12 years, young people can only take EXIT missions in the presence of an adult. From the age of 10, children are considered full-paying adults. Children under 10 years are free to participate in EXIT missions, as long as the maximum capacity of the mission is not exceeded. 5.2 KRAKEN is entitled to refuse access to EXIT to visitors if there is a fear that the person(s) will disrupt the general business or bother other visitors due to alcohol or drug use or other reasons. Reimbursement of the ticket price or voucher value will not be made in these cases. 5.3 Please note that EXIT is a live event. Since the EXIT rooms are specially prepared for each booking and are blocked for the booked period, it is your responsibility to appear punctually to the booked period. In the case of delays, KRAKEN reserves the right to refuse admission to the relevant EXIT mission. The ticket expires without any claim for reimbursement. 6.1 You have the possibility to cancel the booking up to 72 hours prior to the game. Just send an e-mail to hallo@exit-dortmund.de. A telephone cancellation is NOT possible. For groups of 15 or more and in case the booking consists of more than 3 rooms, the cancellation has to be made up to 7 days before the beginning of the game. 6.2 If the deadlines are not met, KRAKEN reserves the right to invoice the minimum booking amount of the respective EXIT mission according to the prices valid at the time of the booking. 8.1 KRAKEN is entitled to create sound, image and film recordings during the EXIT missions from the customer as well as from his / her fellow players, which are necessary for the performance of the game. 10.2 The contract is concluded in German language. All disputes arising from the legal relationship between the customer and us are subject to the law of the Federal Republic of Germany. In the case of consumers, this choice is valid only in so far as the protection afforded by mandatory provisions of the law of the country in which the consumer has his habitual residence is not withdrawn. The validity of UN purchasing law is excluded. 10.3 Jurisdiction is the place of business of KRAKEN if the customer is a merchant, a legal person of public law or a public special fund.